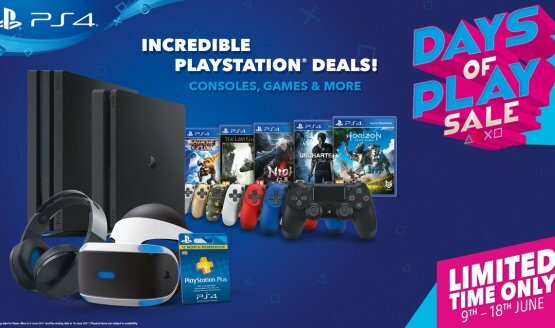 On Friday, June 9, Sony will kick off their nine-day global Days of Play sales event, which discounts PlayStation 4 consoles, games, and accessories. The full list of games will be revealed on Friday. Physical items will be on sale until Saturday, June 17, while downloadable games and PlayStation Plus memberships will be on sale until Wednesday, June 21 through the PlayStation Store. You can also expect “great discounts on a range of exclusive PlayStation clothing, stylish accessories and epic collectibles from some of your favourite games” through the PlayStation Gear store beginning on Friday. The official Days of Play website will have more details when everything kicks off on Friday. You can see a preview of some of the Days of Play deals in North America over here.